Cookies, Cupcakes and Cocktails – Good Things Start With The Letter C! One tequila, two tequila, three tequila, ugggghhhhhhhh. 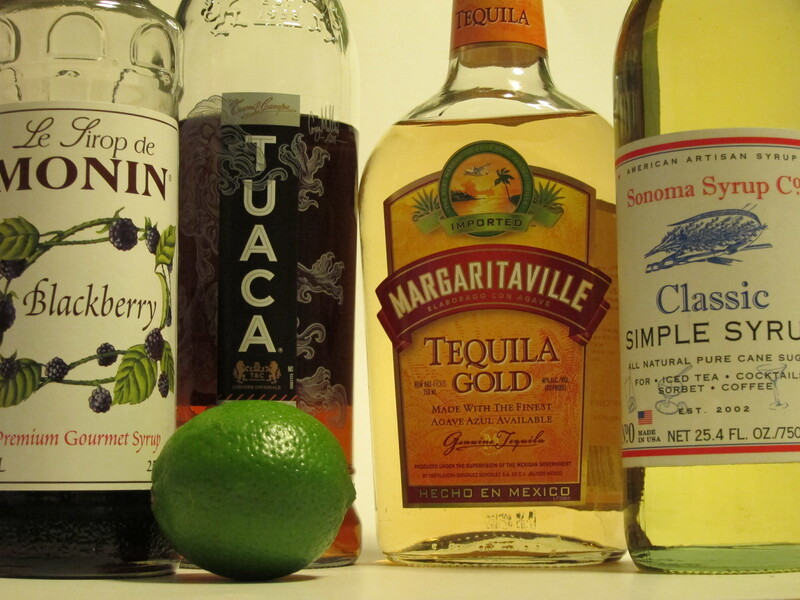 My stomach can’t handle a lot of tequila, but since today is National Margarita Day I HAD to make something! Before I get into that though, quick question: Why is National Margarita Day in the dead of winter?! It’s freezing and gray and miserable… Wait, maybe that’s why? I guess I could go for a margarita now that you mention it! Good idea! 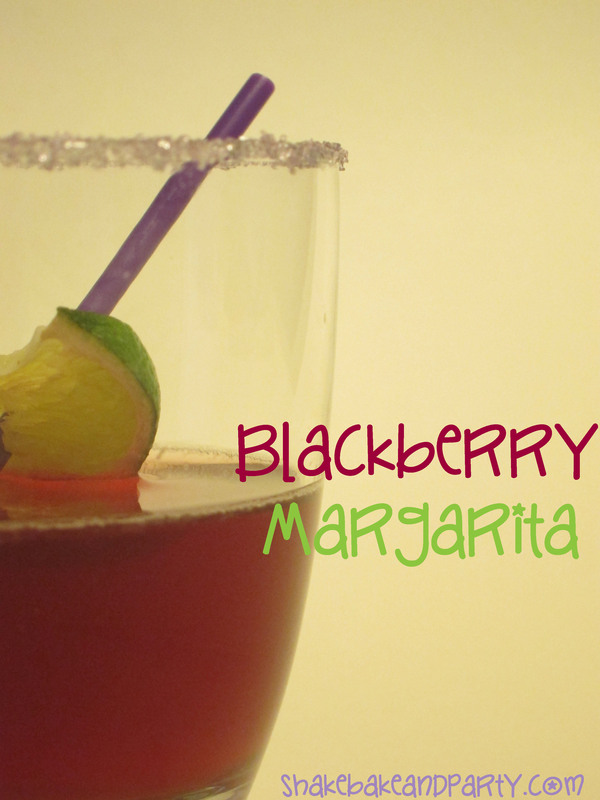 I was inspired by the copycat Carrabba’s Blackberry Sangria I posted about earlier in the week. 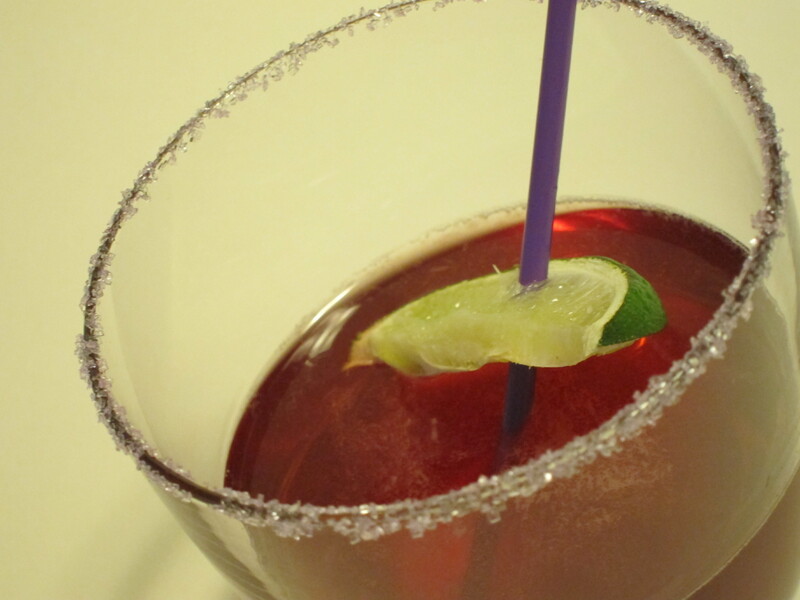 I used two of the ingredients (Tuaca and blackberry syrup) in my contribution to National Margarita Day. 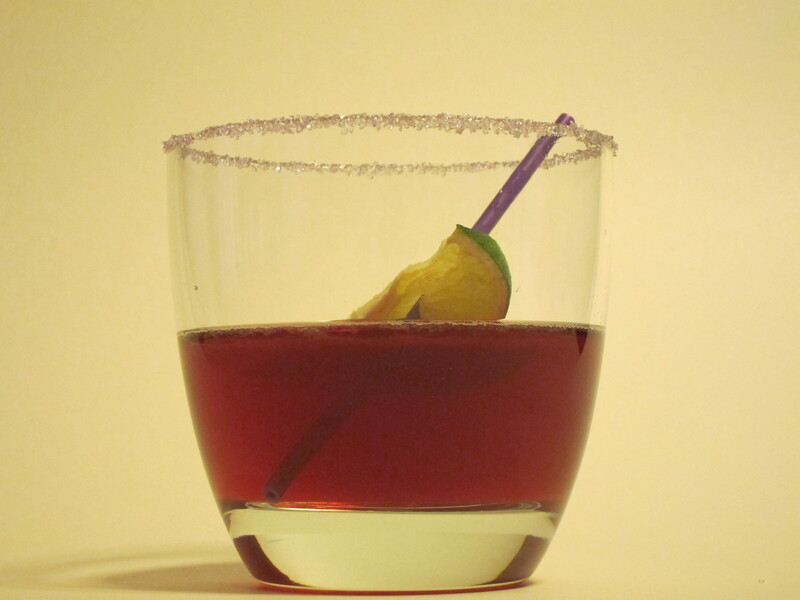 Combine ingredients in a cocktail shaker with ice. Shake, pour and enjoy! As you can see, I rimmed my glass with sugar. I know you are supposed to use salt but I couldn’t help it. It’s purple sugar and it just looks good. Besides, tequila already tastes kind of salty to me anyway so I don’t think missing the salted rim detracts from the drink. This margarita is light on the tequila (for weaklings like myself) but definitely not lacking in flavor! The blackberry, lime and vanilla citrus flavors from the Tuaca are a perfect combination of sweet and tart. Happy National Margarita Day everyone! Are you planning on celebrating?? Sign up to get the latest sweet stuff sent straight to your inbox!